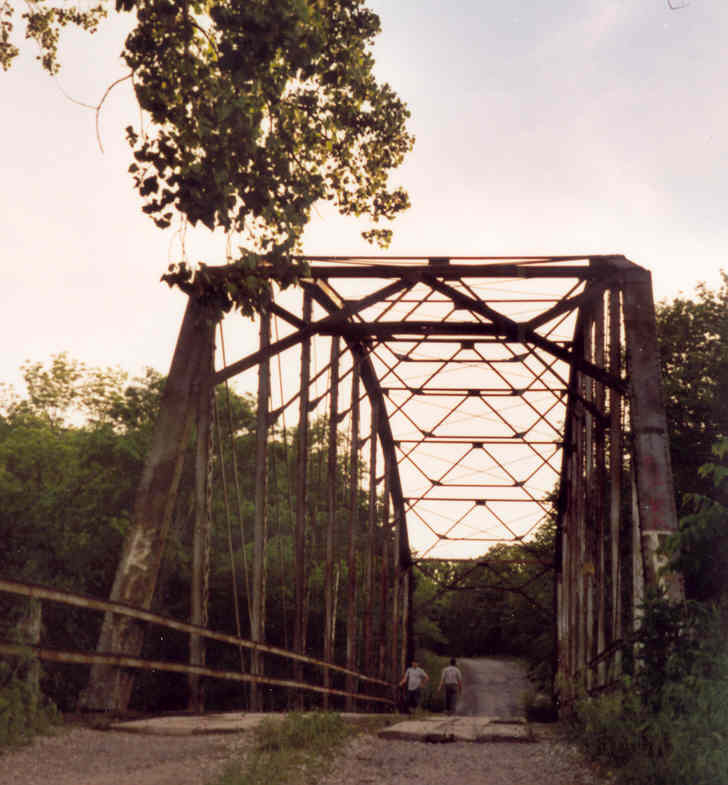 This structure crosses the Caney River in extreme eastern Osage Co. 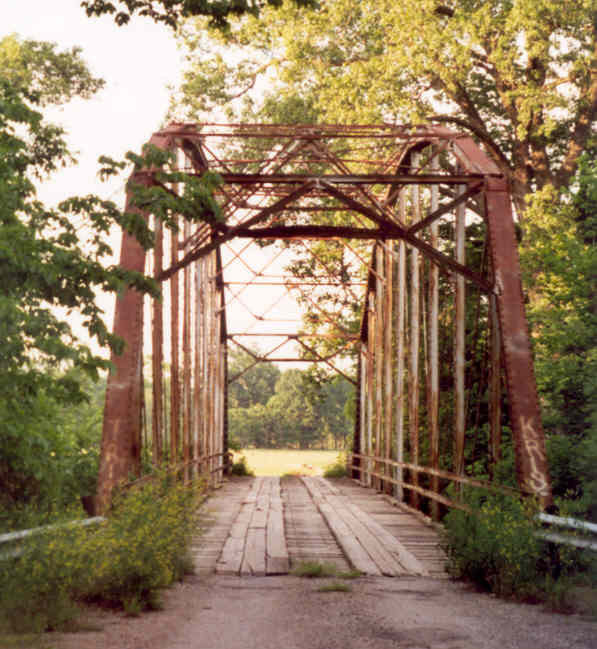 The bridge is located about 6 miles from Dewey. The bridge is a 10-panel pin connected Parker measuring 190 feet long. State records indicate the bridge was probably moved here in 1935. The bridge was probably originally built around 1915. 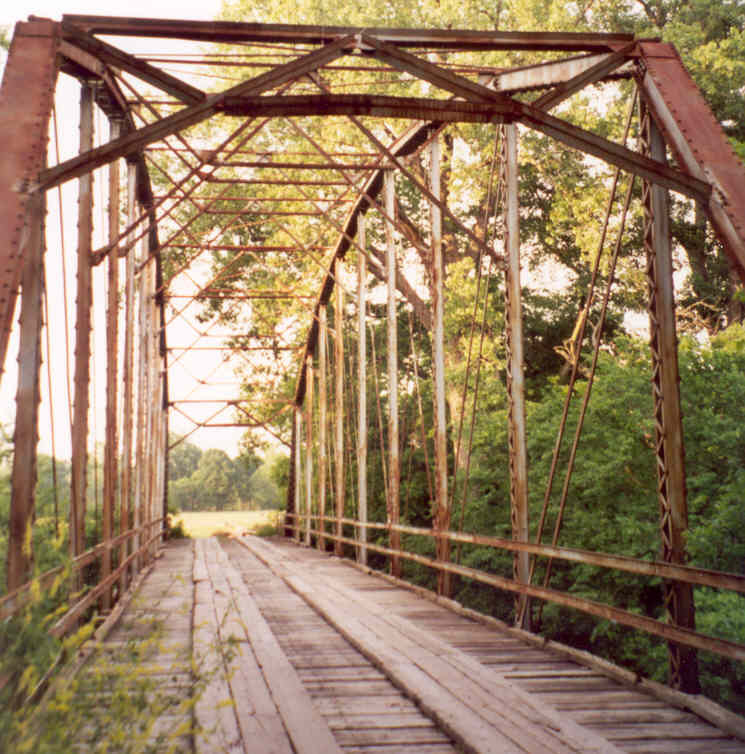 This bridge may have been built by the Rochester Bridge Co., of Rochester Indiana. It shares many design features with a bridge they built in Avant, over Bird creek. Below, a silhouette of the bridge's upper laterals in the evening sky. The portal's 'A' frame design is carried thru the whole bridge.